Since 1984 every wrestling promoter has tried to best Vince McMahon and the World Wrestling Federation unsuccessfully... except one, Eric Bischoff. From a "C-Team Announcer" to the President of WCW, Eric did it all! The nWo, Monday Night Nitro, and most importantly beating Vince not once, but 83 times in a row. 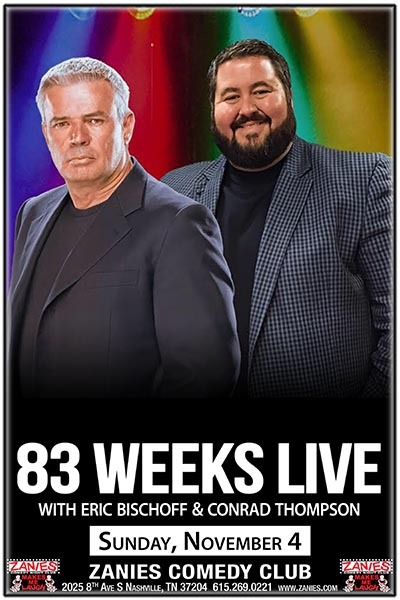 Hear all about it as Eric Bischoff and Conrad Thompson bring 83 Weeks Live to Zanies Nashville!